Foam rollers are truly great as they basically iron out your muscle. It is like a deep tissue massage releasing knots and is used by athletes. I strongly recommend it to anyone that is active. I know I certainly need it as I am very tight due to all the running and squats that I do. It has really helped me improve my posture and range of motion. And ladies, it is great for Cellulite so get foam rolling! After a workout when your muscles are warmed up is the best time. It is important that you place the roller on soft tissue and not on your joints. You roll up and down on the muscle slowly. 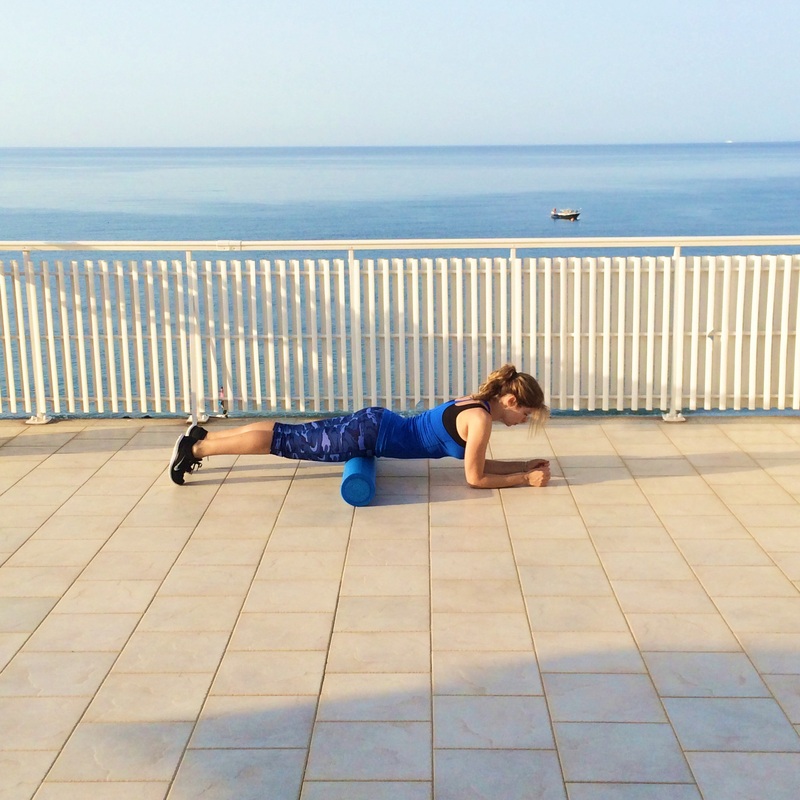 Work at your own pace, especially if you are new to foam rollers. The amount of pain depends on how tight you are. However, the pain should not be unbearable. If too painful stop. If you have knots rest the roller for 30-60 seconds. Start by doing it 3 times a week with shorter sessions and as you get better make your sessions longer and use it after every workout. After foam rolling stretch and drink plenty of water. 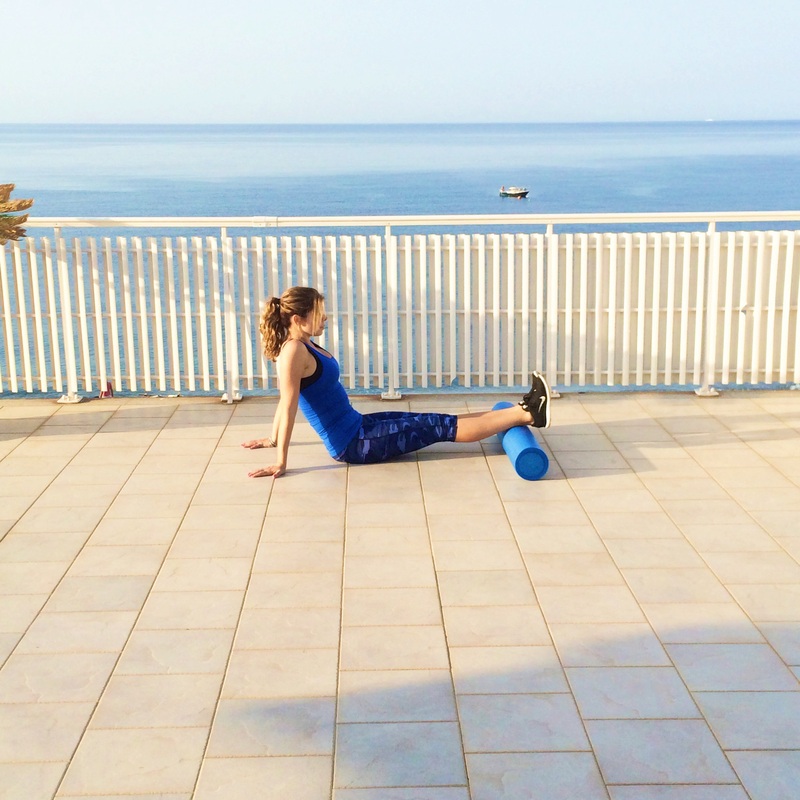 Lie onto your side with the foam roller under your left hip. Keeping your core tight and using your arms roll up and down on your leg from the hip to the knee. Place the roller underneath your glutes. Place your hands behind you and roll up and down from your knee to under your glutes. 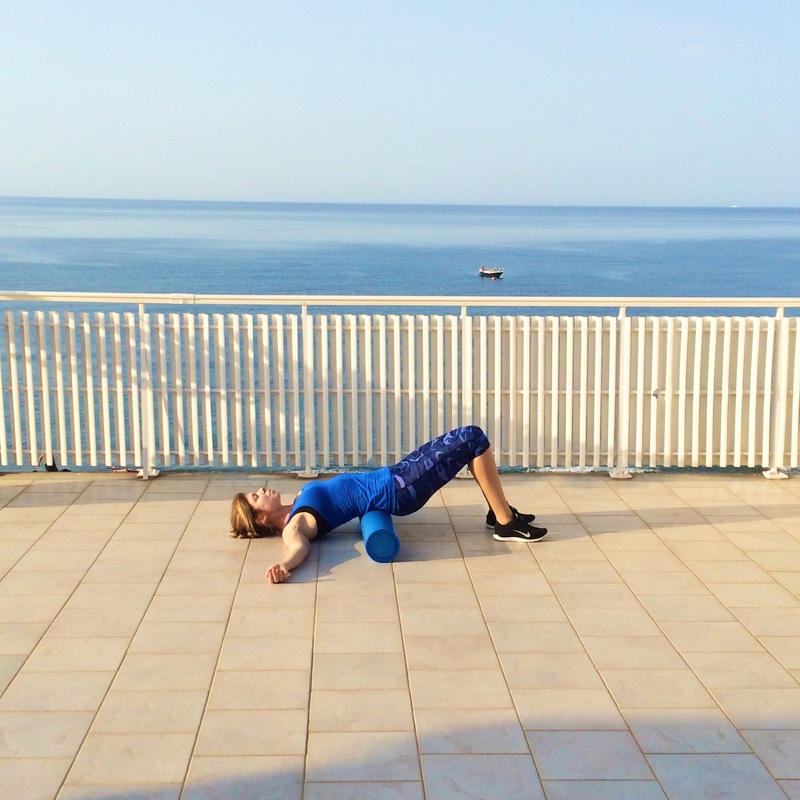 Lying face down, place the foam roller under your hips and roll up and down from the hip to the knee. Place the foam roller under your calves with your legs straight out sitting on the floor. Keep your hands behind you to support your weight. Roll along your calves up and down from the ankles upto your knees. Place the foam roller underneath your lower back with your hands behind you to balance. Keep your core tight and roll up and down your back upto the shoulder blades. 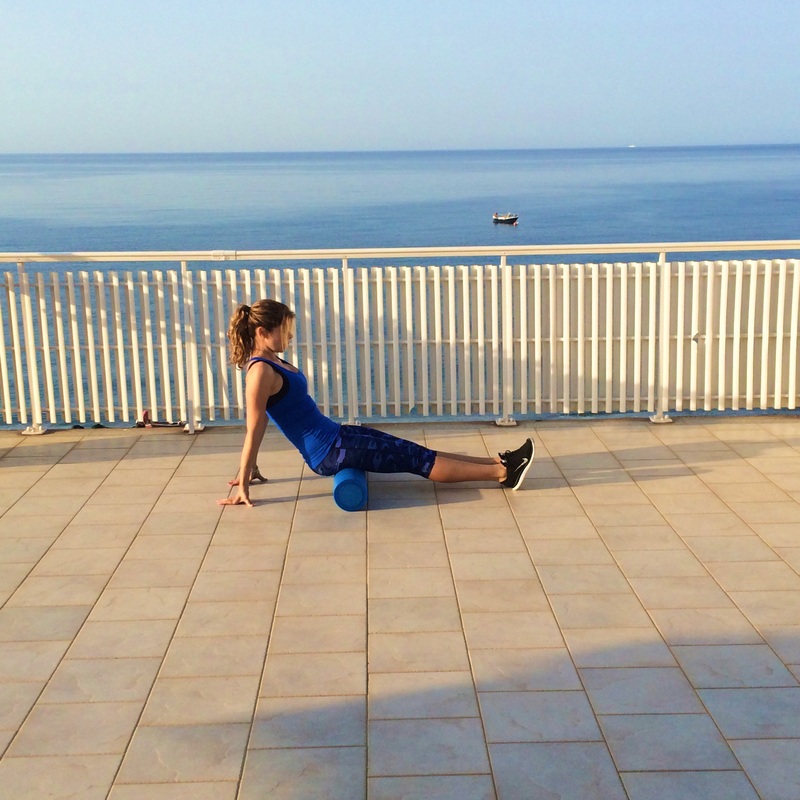 This entry was posted in Fitness, Health and Fitness and tagged calves, Cellulite, deep tissue massage, foam roller, Foam rollers, foam rolling, hamstrings, quads on 26/06/2015 by daniatrapani.